A graphic artist and painter of Southwestern Indian subjects, landscapes and still lives, Alta Skelly was born in Pinckneyville, Illinois. 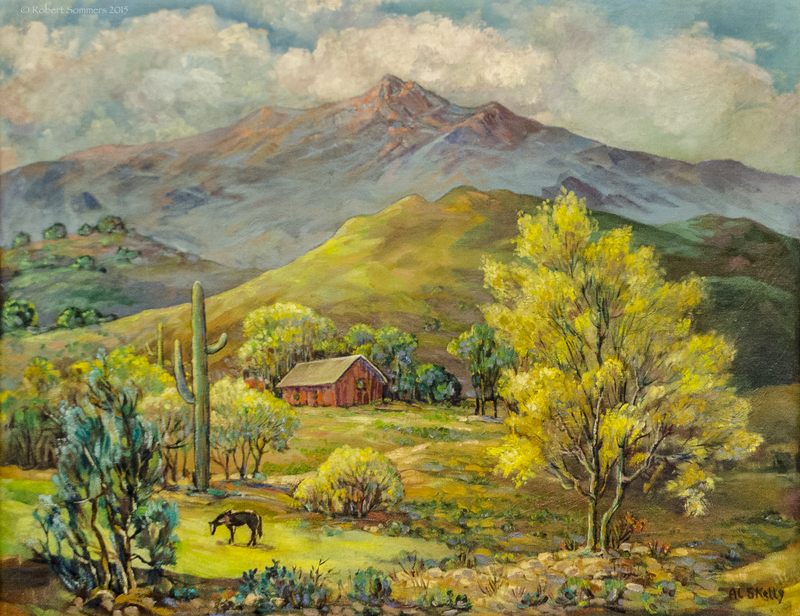 She stayed in Pinckneyville and was active in that art community, but did travel throughout the West, spending time in Colorado Springs, Pasadena and in 1926, settled in Silver City, New Mexico. During her career as an artist, she was also a teacher and did some work in graphics. She moved to Tucson, Arizona, which was noted in the Tucson newspaper in January 1938; she died there in October, 1983.